Keto is pretty similar to paleo. A ketogenic diet focuses on using “ketones” and fat as fuel for your body – rather than glucose (sugar). Whenever your body doesn’t have much glucose, it naturally produces more ketones by breaking down fats. This is how your body adapts to periods when sugary and starchy foods aren’t available. A ketogenic diet causes your body to rely more on ketones – and it does this primarily by limiting the amount of sugars and starches you eat. The result is that your body burns fats rather than sugars, you feel full more of the time, and you gain greater energy and mental clarity. Sounds good right? Well today I have some exciting news to share about Keto and Paleo for 5 days only and free! It very much involves everyone and what I am GIVING away. Yes, giving away for 5 days only. Yes, FREE! 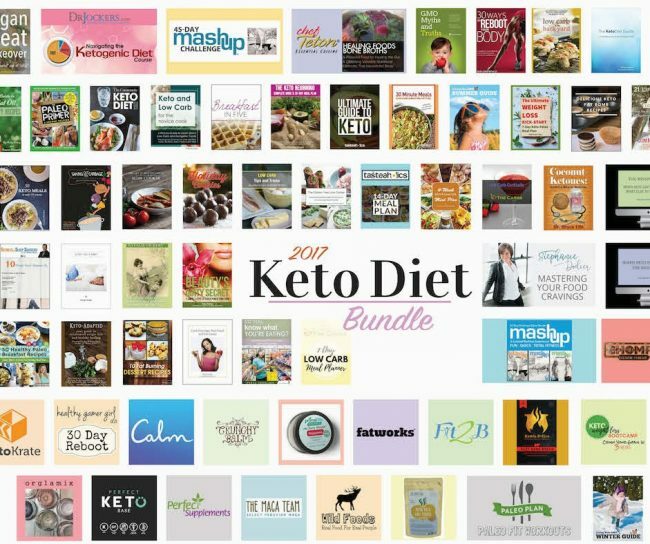 Within the bundle there are over 84+ weeks of meal plans, over 10+ keto and paleo cookbooks (from awesome experts like Maria Emmerich, Mellissa Sevigny, Martina Slajerova, Leanne Vogel, Patricia Daly, Tasteaholics, and Vivica Menegaz) and much more. That’s hundreds and hundreds of delicious recipes to keep you going. 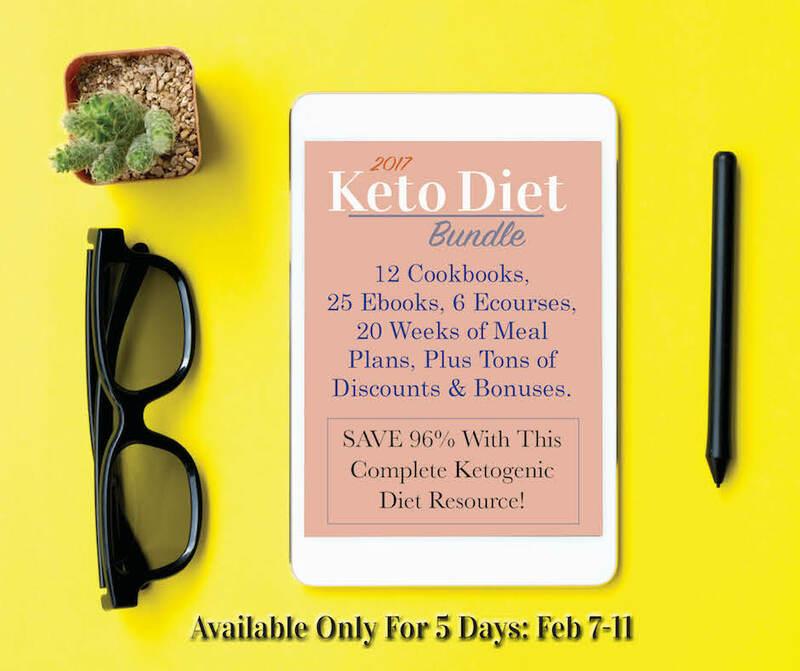 There’s also an amazing ketogenic eCourse as well as beginner keto eBooks explaining step-by-step what you’ll need to focus on, as well as several informative books about nutrition, paleo, health and wellness and so much more! For example, if you need help with sleep or fitness, there are eBooks to help you with those aspects too. There are even discounts on various keto and paleo foods – including discounts to Fatworks, Keto Krate, Keto Kookie, and even a free 16.9 oz. carton of bone broth from Kettle & Fire. Plus, the first 500 US-based purchasers will get a free sample of Perfect Keto’s ketone supplement (with free shipping). 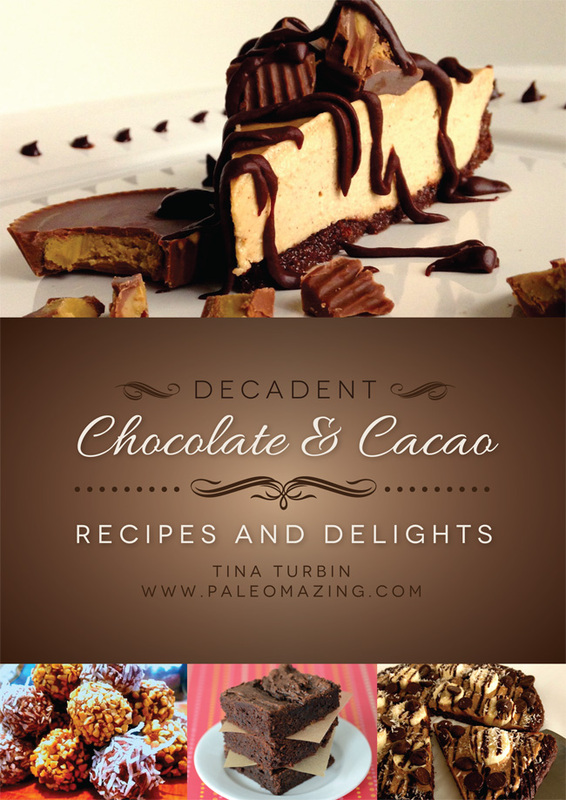 As I said a special bonus to ONLY my PaleOmazing readers and PaleOmazing friends, and anyone that purchases the bundle from this site will ALSO receive a FREE copy of my Decadent Chocolate & Cacao Recipes and Delights eCookBook. You will need to send me your proof of purchase of the Keto Diet Bundle to info@paleomazing.com and you’ll receive your eCookBook within 48 hours. The content in this bundle is so valuable and quite a bargain with everything being included at a 96% discount!